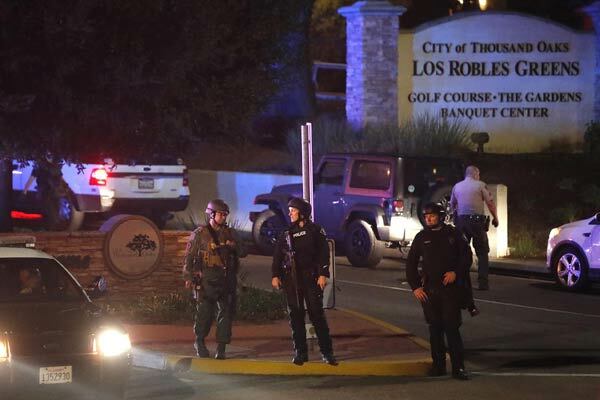 At least 12 people, including a police sergeant, were killed after a gunman opened fire on a crowd of mostly college students in a crowded country music bar in the suburb of Thousand Oaks, Los Angeles on Wednesday (Nov 7) night. The shooting began at 23:20 local time about 40 miles (65km) north-west of Los Angeles, reported BBC citing police officials. It was the third mass shooting in the United States in under two weeks, six days after the death of two women at a yoga class in Tallahassee, Florida and 12 days after a gunman killed 11 worshippers at a synagogue in Pittsburgh.